I have some good news! A shop in Vinton VA asked if I would be interested in selling my roving there! The shop is named Wooly Belle and they’re on FB if you want to see more pictures of their shop. I only had two undyed rovings at home when they asked, so I quickly ordered more and dyed the two I have. Wanna see them? Above is my favorite one so far, and of course, I’m brainstorming for a name for it. It reminds me of Spring…and fruity alcoholic drinks. Hmmmm……so I’m opening up the suggestion box to see what my readers can come up with. I’d love to hear from everyone, either in the comments or on my FB page. 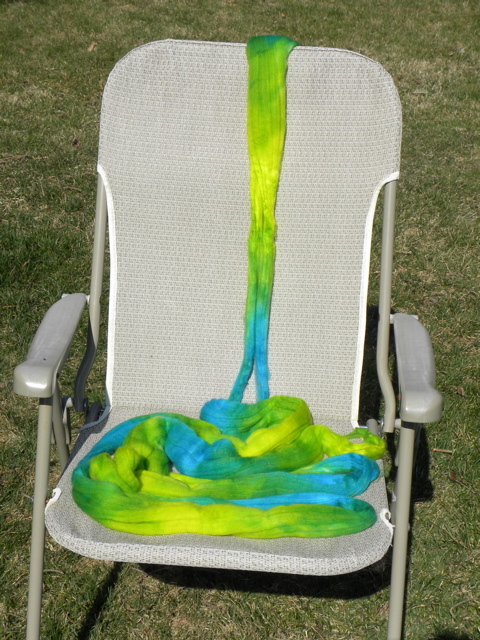 Here it is lounging (drying) out in the backyard, soaking up the unusually warm Spring weather. It took my seat. The one below I call Rose Garden. Now I have to wait for the rest of my order to arrive before I can make more. 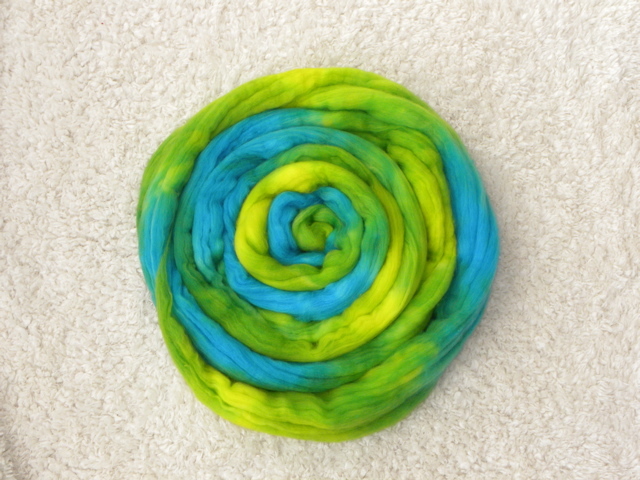 As soon as it comes, I’m going to be a crazy roving dyer for a while. They said they’d sell some of my yarn too! 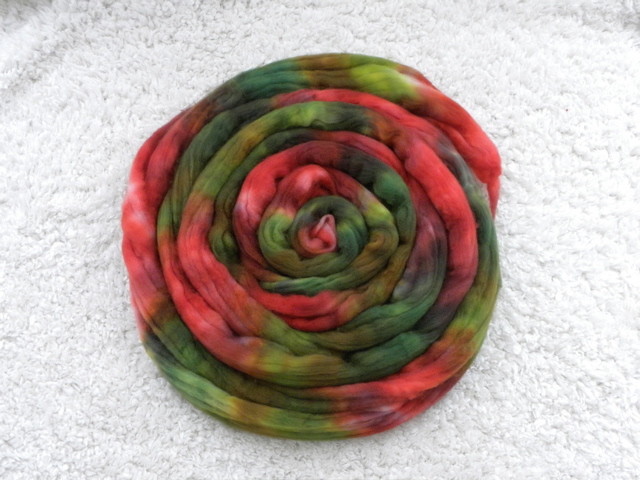 Also, I donated a skein to a podcast! The podcaster will be having a contest with prizes and my yarn (Lucky Charms) will be one of the prizes. Interested in a chance at winning some Mustard Seed Yarn Lab yarn? Listen for your chance tomorrow. Tune in to Fiber and Fabric for details. It’s going to be an exciting Spring. 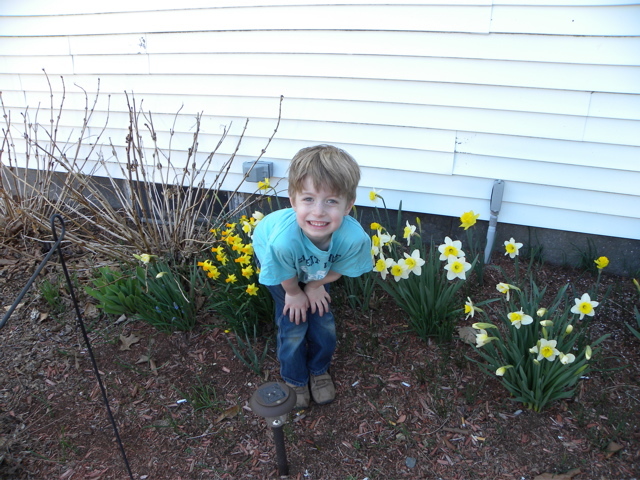 The daffodils are ready… and so is Emmet.